Planning a new production line or retrofitting an old one comes with many challenges. 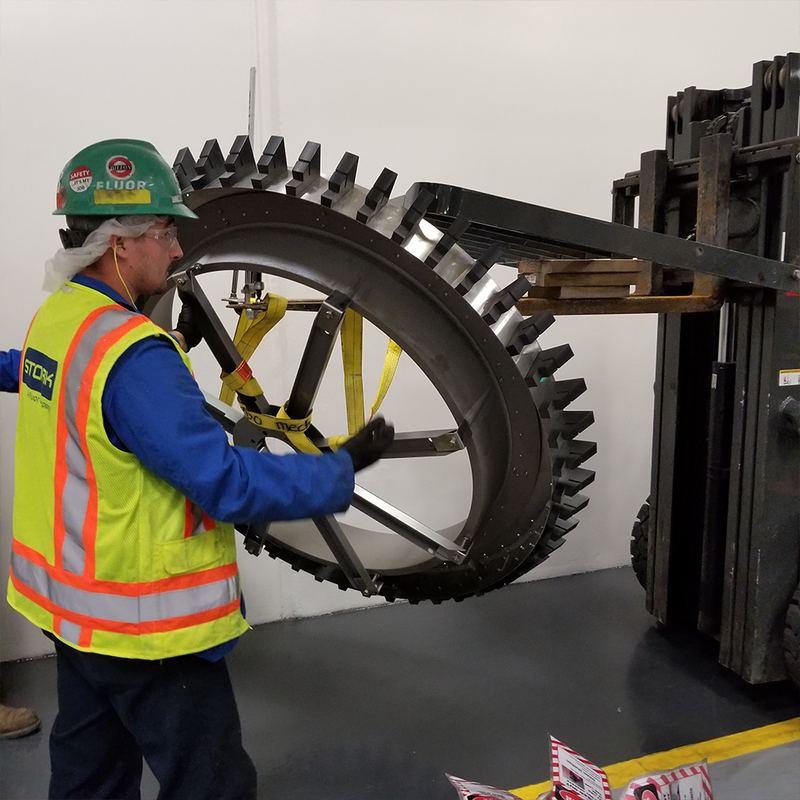 From process planning to machine layouts and facility limitations, there are challenges at every step of the project. 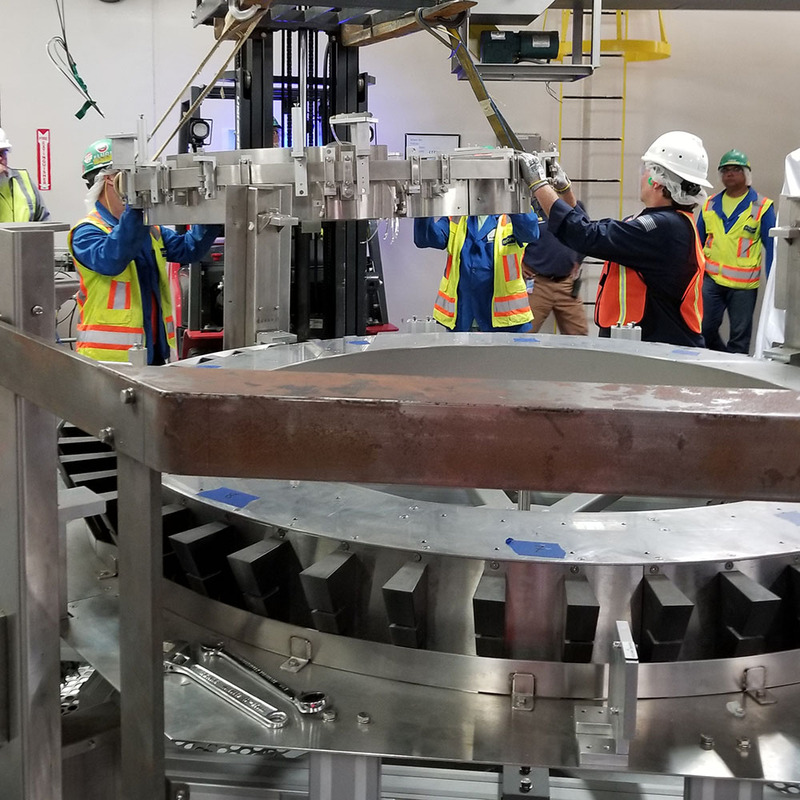 One of the most crucial and perhaps most challenging portions of a machine build project is integrating all the different kinds of equipment together for the last time before production begins. 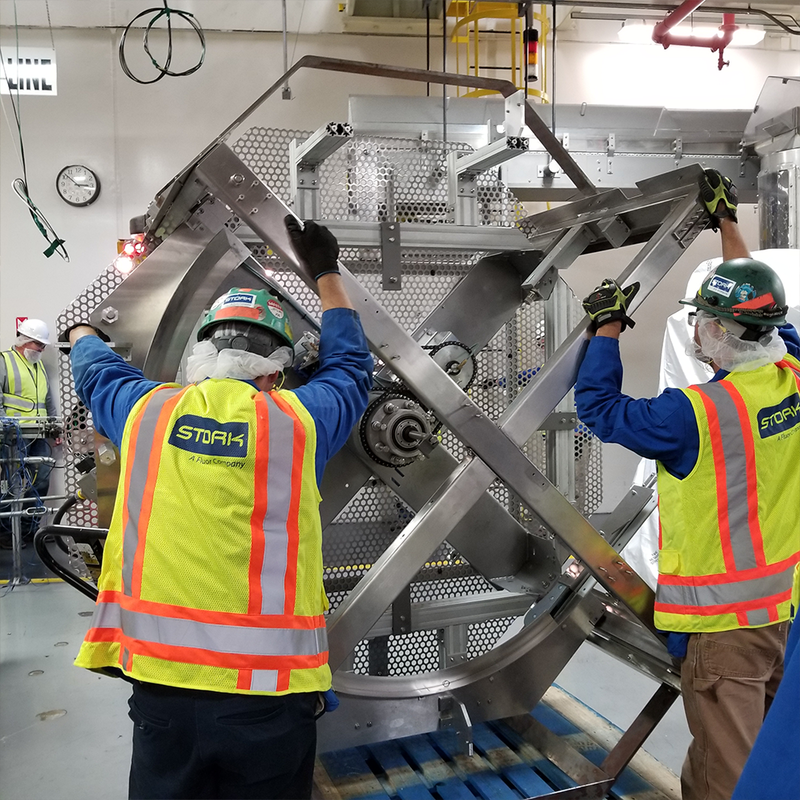 Our very own Greg Schombert took a trip to North Carolina to assist a customer with the integration of a large centrifugal feeder system that provided a few more hurdles than normal. 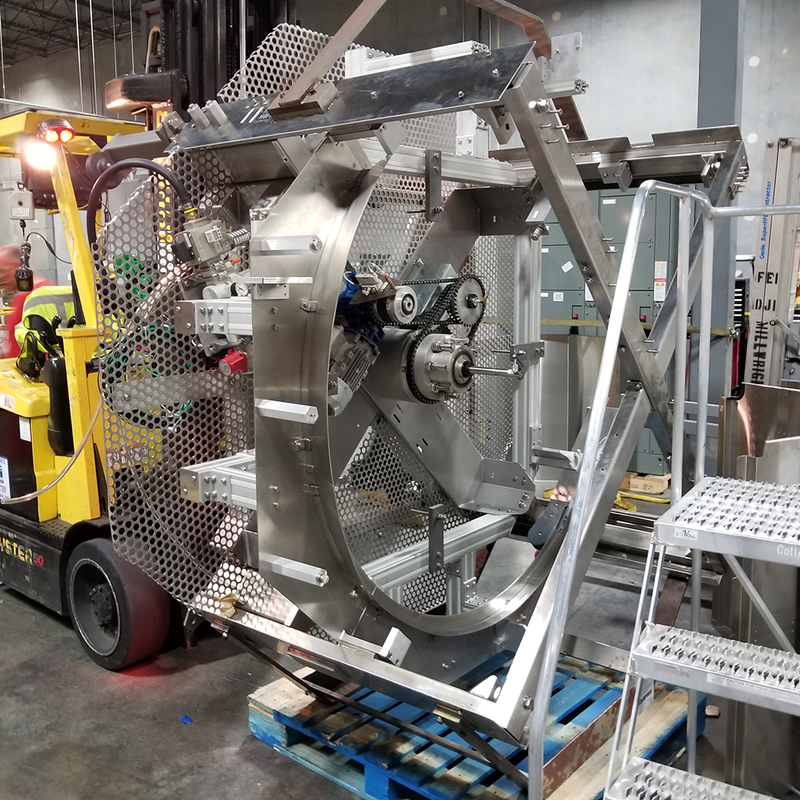 When a centrifugal feeder is shipped out of our facility, typically it is completely assembled with the exception of a few components and other features considered too risky to ship bolted together. 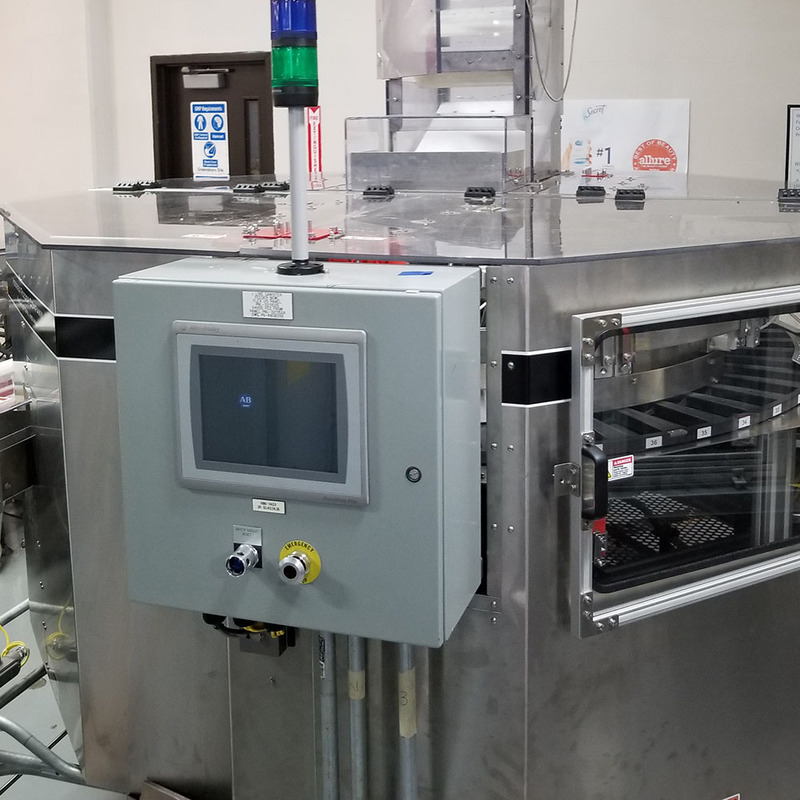 In the case of the P&G deodorant cannister feeder, we were faced with a dilemma: when the feeder gets to its final destination, it must fit through a 50 inch door opening to be placed in its spot on the packaging floor. This means we would have to tear down the system in to its main components, flip everything on its side to go through the door, reassemble the unit in place and ensure it works flawlessly. To add to the challenges, this particular feeder needed to feed a wide ranges of part styles and sizes with automatic tooling changeover. 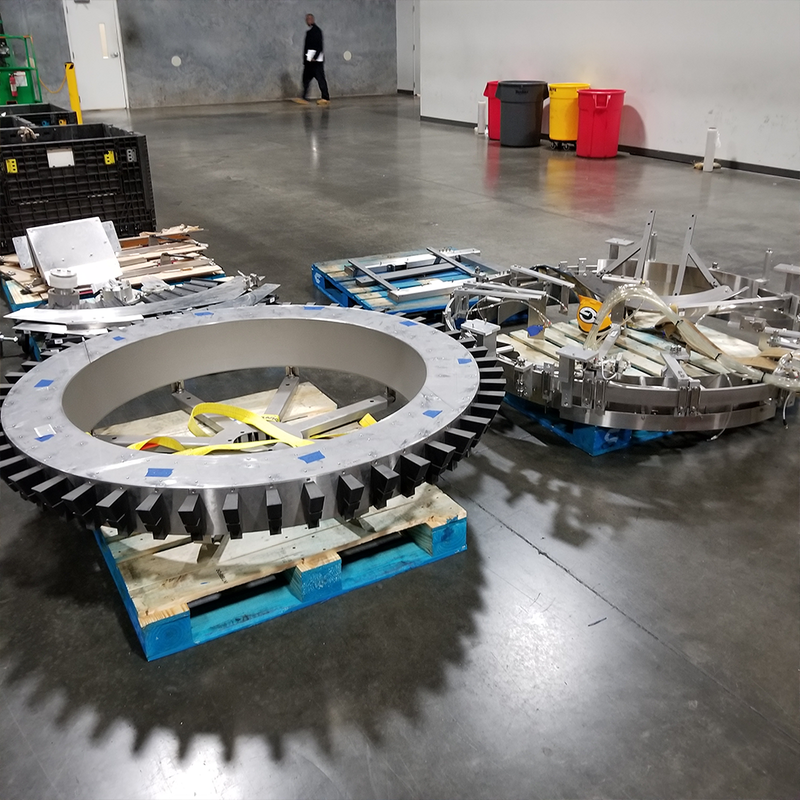 Over the course of 5 days, Greg worked with a crew at P&G to carefully disassemble the feeder, transport the pieces onto the production floor, and precisely reassemble the unit in its final location. The integration was successful thanks to some careful consideration during the design and build portions of the project as well as diligent execution. If you see your next parts feeding project as daunting, let us help lift some of the burden. Give us a call or send and email, and we will be happy to help!